Macon prom party bus, North Florida South Georgia's largest limousine and charter bus provider. With over 35 limousines and charter buses to choose from... So whether you're trying to move or shuttle one person or 500 people we can handle the task. 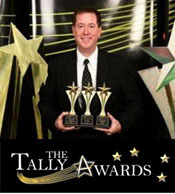 We are the proudest fleet in North Florida and South Georgia with the finest vehicles. Mike's Limousine would like to introduce our NEW DOUBLE DECKER BUS to Macon, this is a one of a kind transportation giant. This mega bus seats 82 passengers and has all the comforts you would expect in a luxury motorcoach. This premier double decker bus can transport a large group economically and efficiently. 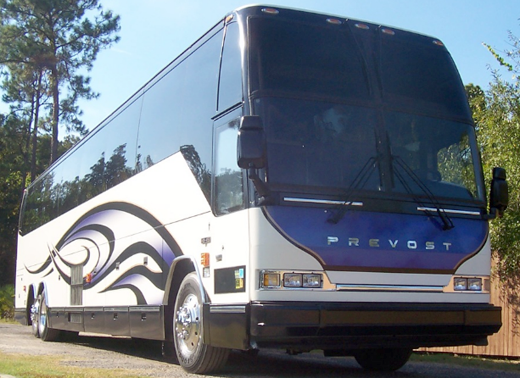 Imagine traveling from Tallahassee to your destination in comfort and style, with a magnificent view from this double decker one of a kind motorcoach. Call 850-251-6453 for details. Our Newest 56 Passenger Top-of-the-Line Executive Charter Buses as well as our Gold Deluxe 36 Passenger MCI F3500 Motor Coaches... are perfect for small group transportation. Some amenities include DVD, 4TVs, stereo, large viewing windows, leg room, ample cargo room, rest room... full-size coach comfort at a lesser cost. 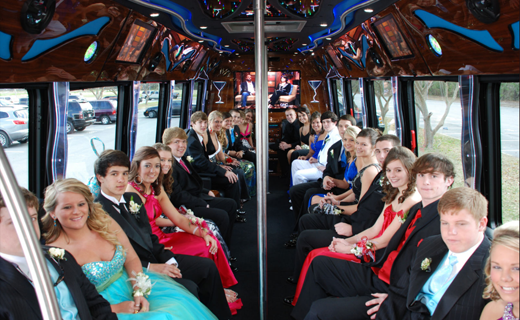 Mike's Limousine is your first stop for all you prom limos, prom limobusses - we have the coolest prom party busses in the Macon and South Georgia region. Our Newest member of the fleet... NEW EXECUTIVE 56 passenger motorcoach. We now have the largest capacity transportation charter bus serving Macon! 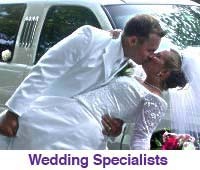 Call us at 850-224-LIMO (5466) to check out our wedding and other specials and custom made packages tailored for your individual needs. A Macon, and South Georgia limousine provider. Our goal is to make every occasion special. We have the finest limousines in the southeast, and we are fully licensed and insured. More than anything else, our mission is to provide five-star service at an affordable price. Click the play button on the video below to find out a little more about Mike's Limousine. We can make your event a memorable experience that you will remember for a lifetime..
Mike's Limousine Prom Party Bus,Prom Limo Bus Charter Bus Service, Tallahassee, Jacksonville, Gainesville, Orlando, Panama City Florida. Valdosta Georgia, Thomasville Georgia, Dothan Alabama, With locations in the following towns. 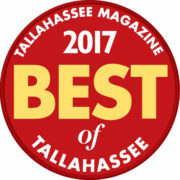 Mikes Moving and Mikes Limousine Service Tallahassee's best 2017! Winner - 5 years running!